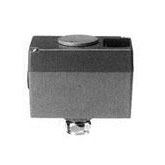 Powermite 599 Series Electronic Valve Actuator - Edgemont Precision Rebuilders, Inc. This actuator is a Fail-Safe, Spring Return, Proportional Control used with Powemite 599 MT Series SQS Electronic Valve with a 7/32″ stroke (5.5mm). 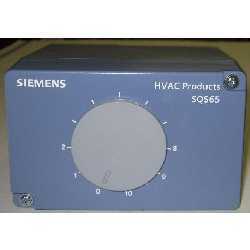 Requires a 24 Vac supply and receives a 0 to 10 Vdc control signal to proportionally control a valve. This actuator is a Fail in Place, Non-Spring Return, Proportional Control used with Powermite 599 MT Series SQS Electronic Valve with a 7/32″ (5.5mm) stroke.. Requires a 24 Vac supply and receives a 0 to 10 Vdc control signal to proprotionally control a calve. This actuator requires a 24 Vac supply and receives a floating control signal to provide 3 position control. This actuator controls Powermite 599 Series MT Series terminal unit valves with a 7/32″ (5.5mm) stroke. A mechanical spring allows the valve to return to its normal (fail-safe) position in the event of a power failure.